One of the most exciting things about Scentsy is that we give you numerous options for fragrancing your home with the most alluring scents we offer. 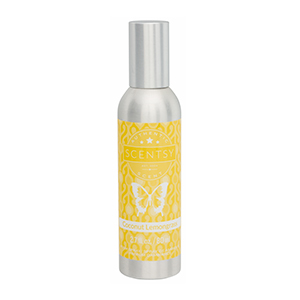 If you love having the convenience of an immediate burst of indulgent aroma, you’ll love using our incredible Scentsy Room Sprays. Keep the bottle handy so that you can spritz its fine mist whenever you crave a bit of delicious scent. With eight collections to choose from, you’re sure to find a Room Spray fitting for every space in your home and every mood that strikes you. Their powerful scents will cling to the hair and last, but never overpower you or your guests.